Did you know you can lessen your carbon footprint through your clothing choices? We took a closer look at three of our favorite brands doing just that—reducing their environmental impact by using sustainable practices and eco-friendly materials. Find out how they’re protecting the planet, piece by piece. Read on to get the breakdown on 3 sustainable brands making moves. Denim—that one piece that everyone has in their closet—accounts for around 1,500 gallons of water needed to manufacture just one pair of jeans. 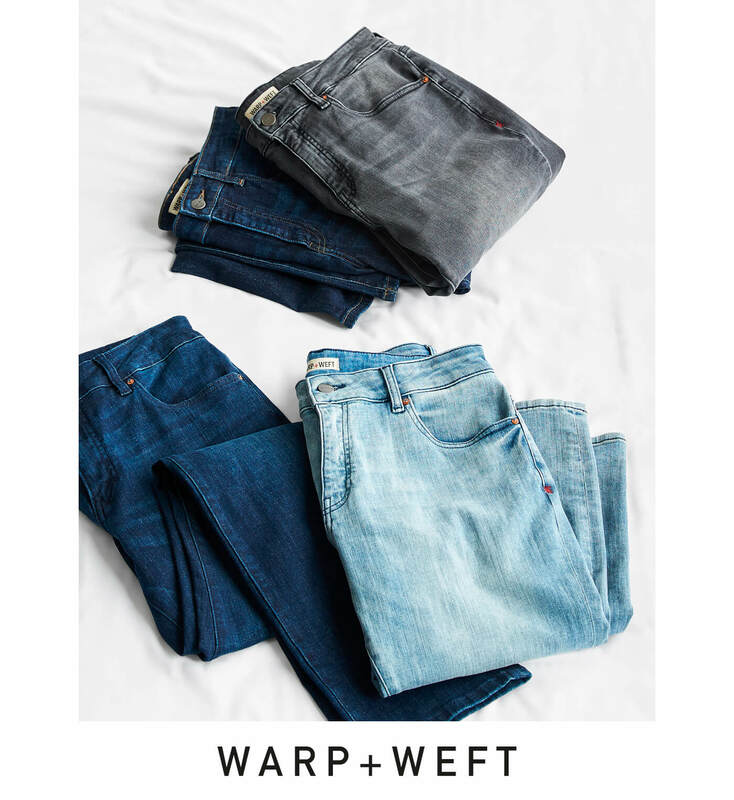 When Warp + Weft was founded, it focused on lessening their environmental impact through water conservation, reducing energy consumption and giving back by donating product. Fast forward to now, and those core values remain strong, as they’ve built an impressive range of sustainable denim for all sizes at accessible prices. Their entire collection incorporates many sustainability efforts including water conservation, the use of recycled fibers and solar power and an insights program dubbed the Environment Impact Measurement System to optimize the manufacturing process. This year, the brand is focused on crafting denim made from upcycled plastic, polyester and cotton, in place of sourcing brand new materials, to further lessen their impact on the earth. What’s one thing you won’t be able to find from Threads 4 Thought™? An item of clothing that isn’t made with at least 85% sustainable materials. 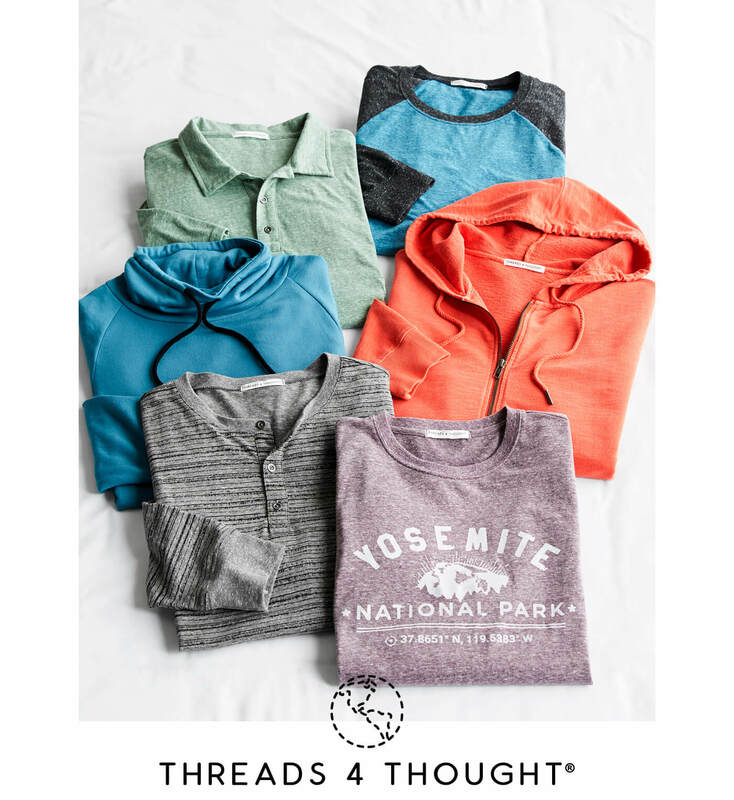 From easy-to-wear t-shirts to insanely soft zip-up hoodies, Threads 4 Thought™ is one of our favorite go-to brands for casual, everyday staples. Their manufacturing process has a two-pronged approach: 85% of their materials are sustainable s (like organic cotton and polyester made from recycled plastic bottles) and they work with a factory that reuses 80% of the industrial water throughout production—one of the highest re-usage rates in the world. San Francisco’s very own, Marine Layer has made a name for themselves with their super soft knits, California casual vibe and sustainability-first mindset. 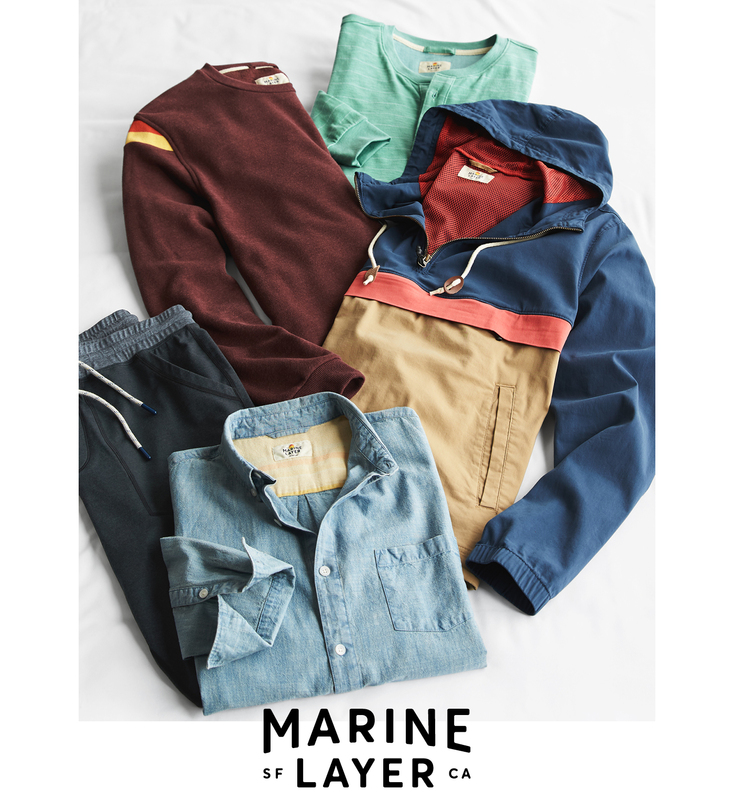 The brand recently launched their ReSpun program where anyone (yup, you too) can drop old t-shirts at any Marine Layer store, or mail them in with a prepaid mailer from the brand. The t-shirts are broken down to fiber and re-spun into brand new t-shirts (get it?). Within the first month of the program’s launch, over 10,000 t-shirts have been collected and are waiting to become your new favorite t-shirt. Like what you see? Now head to your Fix Note to let us know which sustainable brands you’d like to see in your next Fix.